Ford Explorer is a traditional midsize SUV with body-on-frame construction. Available with V6 or V8 power, it competes against the Chevy TrailBlazer, Jeep Grand Cherokee, Toyota 4Runner, and Nissan Pathfinder. 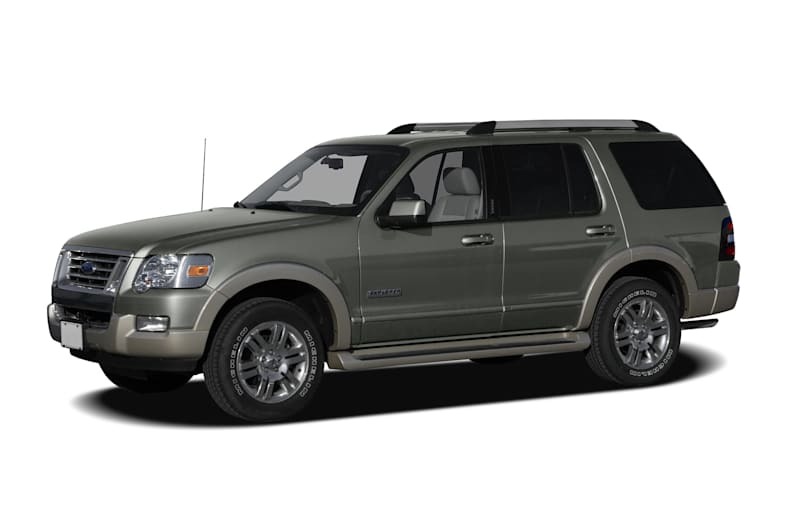 Explorer was completely redesigned for the 2006 model year and we were pleased with the new steering, the new suspension, and the new brakes, all of which were vastly improved over the previous-generation. The latest Explorer is quieter than previous models, and it rides better. It also leans less in corners and the brakes are more responsive. The rear seats fold flatter, and the interior has been improved throughout. More important, it's a very nice vehicle that's pleasant to live with and it compares well with the competition. With the V8 engine, the Explorer is rated to tow up to a whopping 7,300 pounds; that's about as much as a Jeep Grand Cherokee with a Hemi. And Explorer is rated to carry up to 1,520 pounds of payload. Explorer earned the best possible impact protection rating in the government's crash tests: five stars for the driver in a frontal impact, the front-seat passenger in a frontal impact, front-seat occupants in a side impact, and rear-seat occupants in a side impact. (This was in the National Highway Traffic Safety Administration's 2006 model-year New Car Assessment Program.) Ford says the Explorer is designed to meet all known federal frontal- and side-impact crash requirements through 2010. For 2007, Ford has simplified the model lineup. The Safety Canopy side air-curtain system is now standard on Eddie Bauer and Limited. An auxiliary audio input jack is now standard, and power-retracting running boards and heated windshield wipers are available. And the available rear-seat DVD entertainment center comes with a larger, eight-inch screen. The most important change for 2007 might be the new interior door handles, of all things. We found the door pulls on the 2006 models awkward, traceable to thick armrests engineered for crash protection. This situation has been improved for 2007. Though car-based SUVs, or crossovers, such as the Ford Edge are gaining in popularity for their smoother ride, better handling, and easier interior access, the Explorer remains a good choice for families that tow. Explorer's truck-based chassis gives it towing capability, while its clever independent rear suspension smoothes the ride for back-seat passengers.